Since the end of 2017, everyone is scrambling to figure out how the Tax Cuts and Job Act (TCJA) affects them. Individual taxpayers, businesses and state governments (like Indiana) are determining how this new legislation affects them on a state and local level. An unexpected consequence is some states can expect to collect additional tax revenue without raising rates. 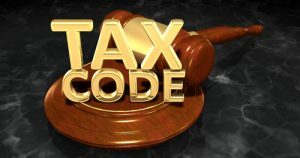 Of the 41 states that impose an income tax, only five (Alabama, Arkansas, Mississippi, New Jersey and Pennsylvania) do not have laws tied to sections of the federal code. The remaining states must decide whether to change their plan to match the new TCJA, reform individual state code to be different from the federal one or continue to follow 2017 filing guidelines until they decide what to do. Preliminary estimates show states that do nothing are going to increase their tax revenue. Many legislators are already planning how to spend the windfall. Why Would States Gain More Revenue? With the increase in federal standard deductions, more individuals and businesses will skip itemizing starting in 2018. Some of the exemptions eliminated in the TCJA still exist on the state level. Unfortunately, you won’t get to use them since you must file your state return the same way as your federal. Those unused exemptions mean individuals pay more in state tax than the year before. States currently reforming their tax codes look to balance the tax obligations for their citizens. Is Indiana Reforming Its Tax Code? The Indiana legislature has actively worked to revise our tax code since 2011. By passing numerous bills over several years, the state’s reform package is less obvious but no less sweeping. Indiana has lowered individual and corporate rates, broadened tax bases, simplified tax structures and improved competitiveness for Hoosier businesses. We rank ninth on the State Business Tax Climate Index. Will My State Taxes Go Up? Indiana does follow the federal tax code in some areas. Any changes to our state laws pass through the legislature before being implemented. Because of the tax reforms our state government is already doing, any rate increase is expected to be offset by the cuts on federal returns. If Indiana Has an Increase in Tax Revenue, Will I Get a Refund? In 2011, Indiana passed a successful taxpayer rebate program. The regulation states if our state’s rainy-day fund grows over 12.5% of its budget spending, we get money back. All excess cash splits between the teacher’s pension program and taxpayers. In 2012, lots of happy Hoosiers received a $111 refund. With this law in place, any extra revenue from the new federal tax reform means refund checks for Indiana citizens.